Lily Tomlin has never steered us wrong. She let slip over the weekend at a Netflix Emmys event that her good pal Dolly Parton would be getting her own Netflix deal. 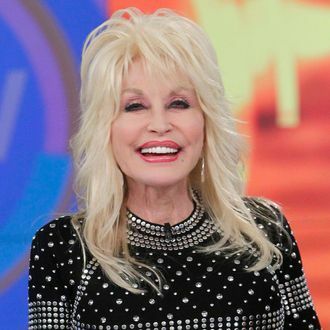 True to Lily’s word, Netflix has now confirmed the rumor, announcing an eight-part anthology TV film series with each part based on a different Parton classic. Dolly will appear in the series (! ), as well as serve as executive producer and singer-songwriter, since, ya know, she wrote the songs. Which songs will be covered hasn’t been revealed just yet, although NBC has already tackled “Coat of Many Colors” in its two movie specials about the legend. A third, planned around “Jolene,” was ordered but has since been scrapped, so it’s an option. We’re personally rooting for a “9 to 5”–themed Gracie and Frankie crossover in the name of necessary fan service.